GRAFENWOEHR, Germany — The Alps offer plenty of wonderful ski and snowboard regions and perfect slopes for everyone who loves the great outdoors and enjoys a good ride. Home to more than 120 ski areas, Bavaria offers something for everyone, and there is so much more to discover in Austria, Switzerland and the rest of Europe. If you’re a beginner or have little kids, it can be frustrating to take a long journey down to the Alps, rent gear and buy expensive lift passes and only be able to ride a few of the slopes. Whether it’s you, a friend or your children, learning to ski or board is definitely a rewarding challenge. Skiing and snowboarding can be addictive too, because it’s easy to make new friends and skiing adventures can be some of the most memorable. Did you know there are plenty of smaller ski areas and lifts in the region around Grafenwoehr? Here is a guide to the best small slopes that suit beginner adults and children alike. They usually have hourly or half-day passes, are less crowded, a lot easier to reach and are cheaper than the mountains down south. 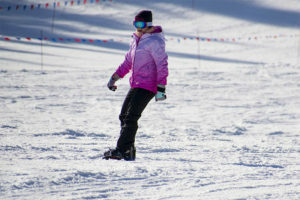 And yes, more advanced skiers or snowboarders can also have a blast at these local slopes. Please be aware, however, that most of the very small lifts do not have ski rental facilities. Call ahead and ask if they provide rentals. You may also want to consider renting ski and snowboard equipment, such as board, helmets, boots and more, at MWR’s Outdoor Recreation Center. For more on snowboarding, skiing, and snow forecasts — including webcams of the ski areas in Germany, Austria and the whole Alp’s region — visit www.bergfex.com. Floodlit Skiing until 9 p.m.
Floodlit: Mon-Sat from 7–10 p.m.